There’s a frenzy of social networking going on. Never before has there been so much chitter chatter around the world 24/7 – and just imagine the noise if all this chit chat was audible! Everyone is tapping away, hooking up with people they know, and sharing their news and views with family and friends…and friends of their friends…and friends of…you get the idea. 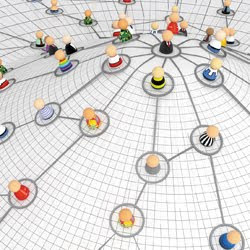 Social networking is all about word of mouth; using these forums to market and advertise your products could work well. But only you can decide if social media marketing is right for you, your products and your customers. As long as your type of business is right for online marketing, taking your business promotion into the realms of social media marketing could prove beneficial. It’s likely that your particular customers are proficient in using social networks; this is their world, their language, their way of communicating. If you want your customers to talk to and about you, you need to be where they are and actively participate in what they are doing. Customers need to know you care. They believe you do if you talk to them, engage, listen, respond and interact. Social networking lets you do all of these easily - and quickly. To stay on your customers’ radar you need to make your presence felt. You may have an office, an order line and a website but if your customers are busy on Facebook or MySpace or Bebo…or Twitter, or LinkedIn…they might miss you. You can guarantee that if you think social networking is right for your type of business, your competitors will be onto it too. Social media marketing is budget-friendly and measurable. Your major investment in social media will be time, but do remember that your time is money – so be sure you invest wisely. And if you don’t know it now, you will. Remember, there were people who thought telephones, fax machines, mobile phones, computers, iPods…were unnecessary and wouldn’t catch on! What’s your experience of using social media? Is it working well for your business? Are your customers engaging with you? We’d like to know. Share your thoughts in the comment box below. There’ll be more on this topic over the coming weeks…how to get started as well as some essential Dos and Don’ts. Sign up now to our email alert service so you’ll know when the information goes live.